In 2017, 94% of people reported that they believe organisations must have strong leaders to succeed yet, only 54% of professionals (both in leadership positions and not) surveyed by Evolve Research and Consulting reported that they believe Australian workers respect their leaders. The study found that leaders have poor perceptions not because they lack skills but because their strengths don’t align with what today’s employees expect from their leaders. To elevate the perception of leaders in 2018, you must be ready to adapt to the numerous technological and demographic changes in the workforce and the evolving needs of employees. A 2017 leadership study found that “demonstrating creativity and emotional intelligence” is the number one skill leaders need to develop to be successful in 2018. As technology evolves faster, continuous innovation is the key to success. Leaders need to create an environment where their teams feel safe taking risks and pursuing creative ideas. To do that, leaders must use their emotional intelligence and creativity to support individuals while they struggle with new projects rather just demanding results. People crave authenticity – forget the masks and embrace your vulnerabilities. Developing strong connections with your people is critical to fostering collaborative teams. In 2018, leaders will need to show that they are authentic and reliable before people will trust them. Yes it’s all about trust! To do this, survey respondents say they look for the following traits in their leaders: approachability, articulateness, passion, and transparency in decision-making. With complex challenges, large and diverse global teams and multiple stakeholder groups, it’s not only effective for the one ‘hero’ leader, it’s just not possible either. Leadership is a shared process which teams create rather than about one person. This means team members must each carry the leadership responsibilities of the teams they are involved and be willing to collaborate to co-create new solutions together. Long gone are the days when managers could assign employees tasks and expect them to complete the tasks without the training and support. 83% of respondents in a 2017 Deloitte study with over 10,000 respondents said that “careers and learning” need to be a top priority for business leaders. The rate of technological innovation is the highest it has ever been, and many employees need to be taught new skills before they can successfully tackle innovative projects. For organisation’s to keep up, they must train their employees on how to adapt to new technology and shift their careers to meet the ever-changing needs of organisations. It can’t be go, go, go all the time. People need time to learn, reflect, percolate and implement their learning. Experts predict that in 2018, artificial intelligence (AI) enhanced software will take over much of the data analysis work that managers used to do and provide increasingly accurate insights with little input from humans. With this extra time, leaders will be expected to focus on refining and implementing broader strategies for their organisations, softer leadership responsibilities such as mentoring, training and development and on other activities that boost employee morale and productivity. According to the Australian Industry Group, over 32% of Australian workers participate in the gig economy and businesses are planning to hire more freelance workers in the coming years. As more managers oversee freelancers who don’t have the same schedules, nor receive the same benefits, as employees they must develop new routines for assigning tasks and keeping workers motivated. Most freelancers have multiple clients which will force managers to schedule tasks in advance since there’s no guarantee that freelancers can complete something on a short-term notice the way employees can. Though these workers can be depended on to do quality work, leaders must understand that they have far fewer reasons to be loyal than employees and each freelancer may have different incentives that motivate them to improve performance. To bridge the skills gap between generations, leaders are expected forgo the traditional mentoring model where senior professionals guide younger ones in favour of two-way mentoring where everyone in mentoring relationships is responsible for teaching each other. Younger generations are better adapted to rapidly changing technology but lack the experience and knowledge of older workers. To capitalise on every generation’s strengths and overcome their weaknesses, leaders are predicted to promote more collaboration among professionals at various levels so that different generations of workers can help each other gain the other’s advantages. With millennials now making up 54% of Australia’s population, leaders must adapt to their desires. One of millennials biggest priorities is work-life balance. They demand it because they grew up googling and know that working excessively long hours does not make them more productive while having balanced lives keeps them happier and healthier. As a result, leaders must focus on making their teams more efficient and offer the most flexible schedules possible. Failure to do this may lead to increased turnover costs because millennials quit their jobs in search of better ones more frequently than any other generation. Workplace diversity has been a buzzword for the last couple of years but, in 2018 it will become a necessity for companies to keep up with the year’s rapidly changing environment. It’s time for action! 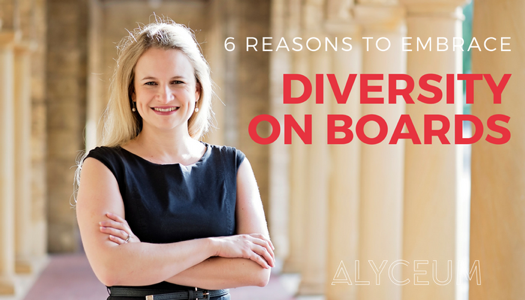 Research shows that companies with diverse leadership teams and employees attract more qualified job candidates and have better performance than companies made up of people who share a similar ethnicity and/or background. To embrace your team’s diversity leaders must seek out the opinions of all members and be open to ideas that contradict their own. Bring on the emotional intelligence skills! According to the Mercer Global Talent Trends 2017, 93% of executives are planning on redesigning their organizational structure in the next two years and the majority of changes will flatten organisations. As power is redistributed throughout teams, managers’ roles will shift from being the top authority on their team’s projects to providing the resources and guidance that their teams need to succeed. This is great for leaders because it will give them the time to foster the personal connections that today’s employees crave. Adopting these trends will prepare any leader to gain the respect of their teams, inspire greater creativity and innovation and ensure their organisations thrive in 2018.